After the A-Class we drove recently, I was looking forward to driving its elder sibling. I found out it’s quite the introvert. 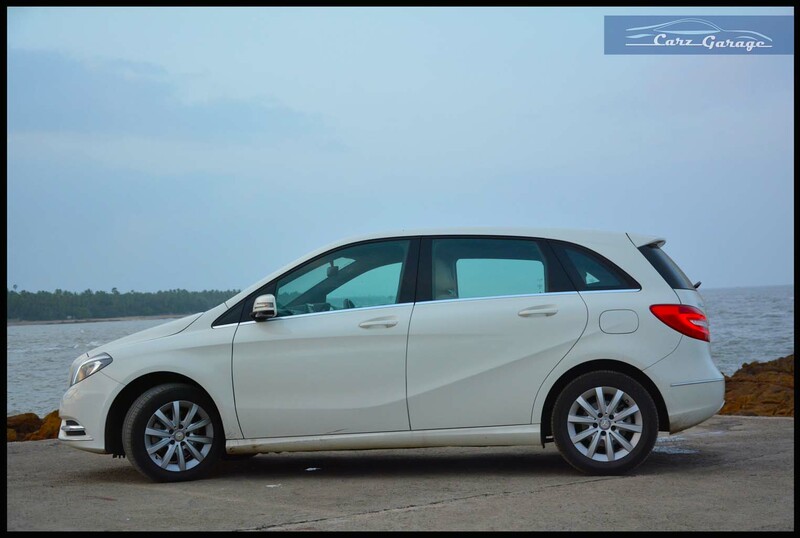 As you all know, we drove the Mercedes-Benz A-Class recently and though it was quite a handful, I loved driving it around. After A (from what I learnt at pre-school) comes B and even Mercedes-Benz knows that. So, the obvious thing to do was to drive in chronological order and here we are. 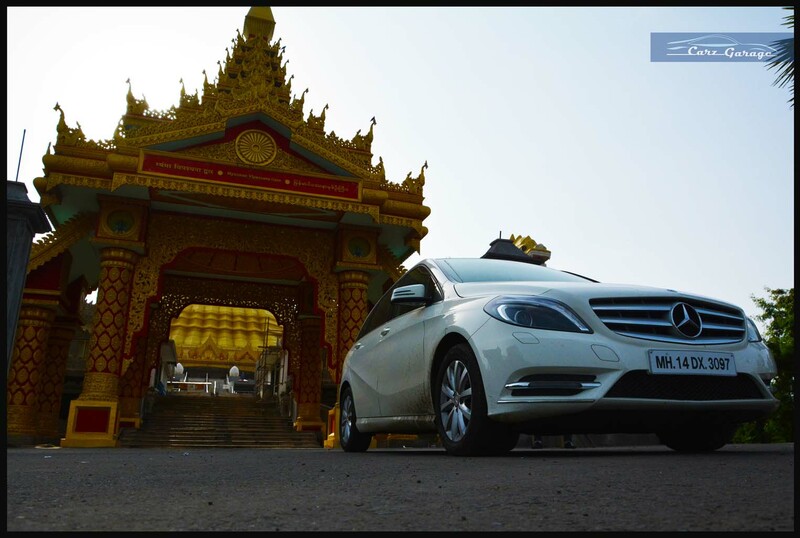 Mercedes introduced the B-Class in India in 2012, but it was meant for the petrol head. To add to the petrol hike woes, was the tag most people associated it with the image of an MPV. 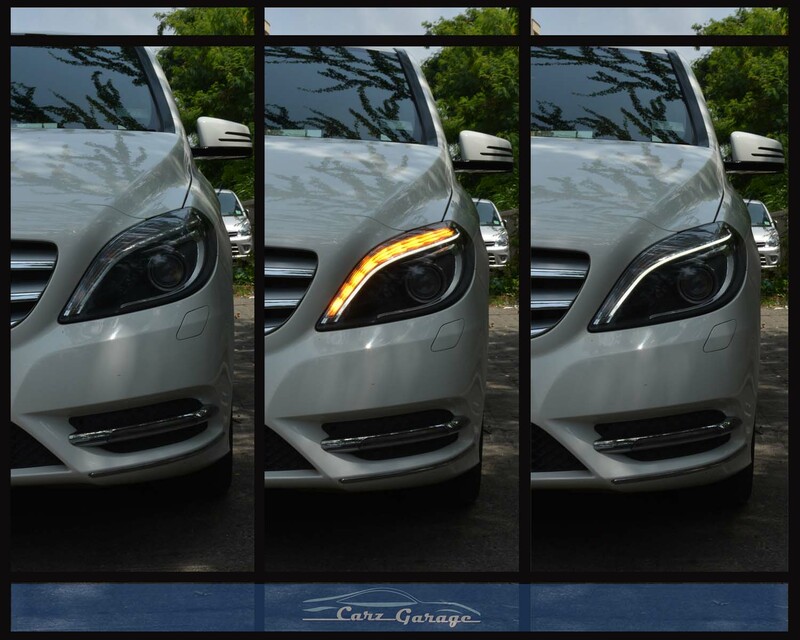 Mercedes-Benz though took up the challenge and sold 500 units in 10 months since its introduction. Was it because they called it a Sports Luxury Tourer? We have no idea but the German company has proved a point. 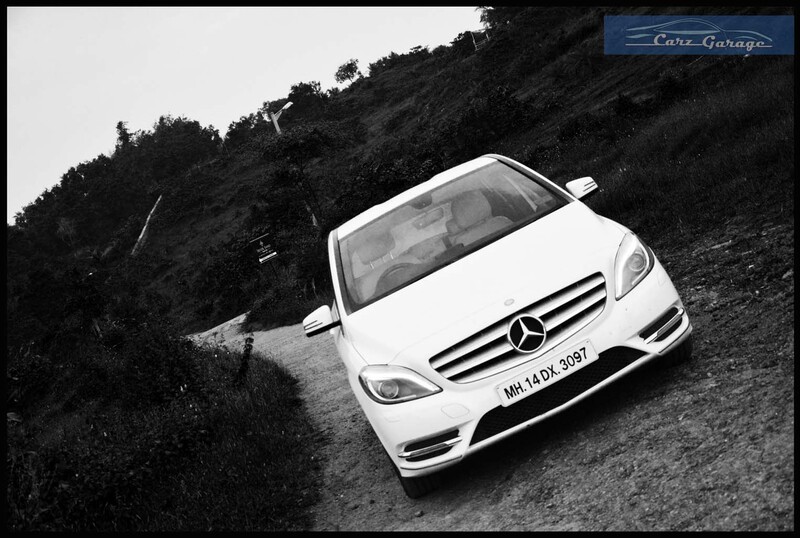 It was only time that Mercedes introduced diesel power for the B-Class and we decided to take it out for a spin. Mind it! This is no A-Class. It doesn’t make your eyeballs pop out. Its calm, collected and goes about its business unnoticed, yet it isn’t common. Things change if Mercedes offers the B-Class in the ‘South Sea Blue’ colour like it does in Europe. Alas! This shrunk R-Class has its own design language though; the eyebrow LED daytime running lights, the projector bi-xenon headlamps, the LED’s in the bumper slots. What differentiates the B 180 diesel from the petrol Sport variant on the exterior is the 3-slat grille instead of the 2-slat one, 16-inch alloy wheels with multi-spoke design and the absence of a panoramic sunroof. The car is nearly 4.3 metres long and carries the same Nike swoosh design language as the A-Class. It is not exuberant as the A-Class, but it does what it has been set out to do, provide luxury. 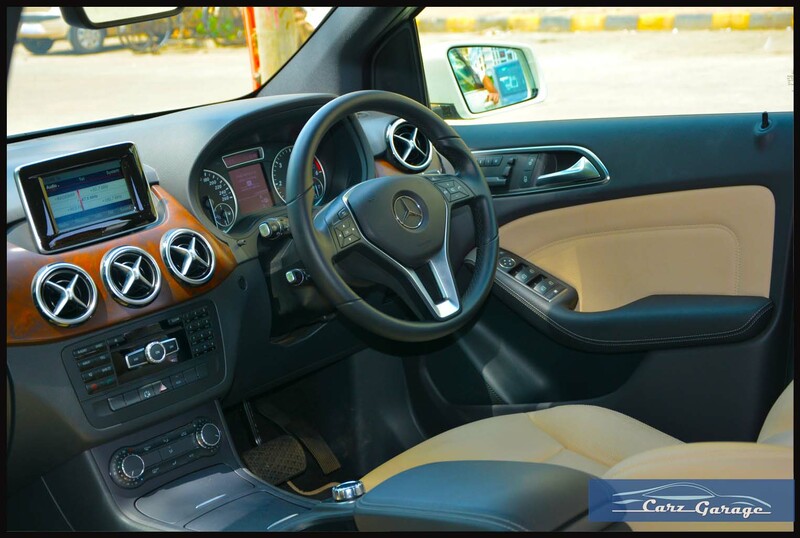 The B-Class cabin is light, airy and very well put together. 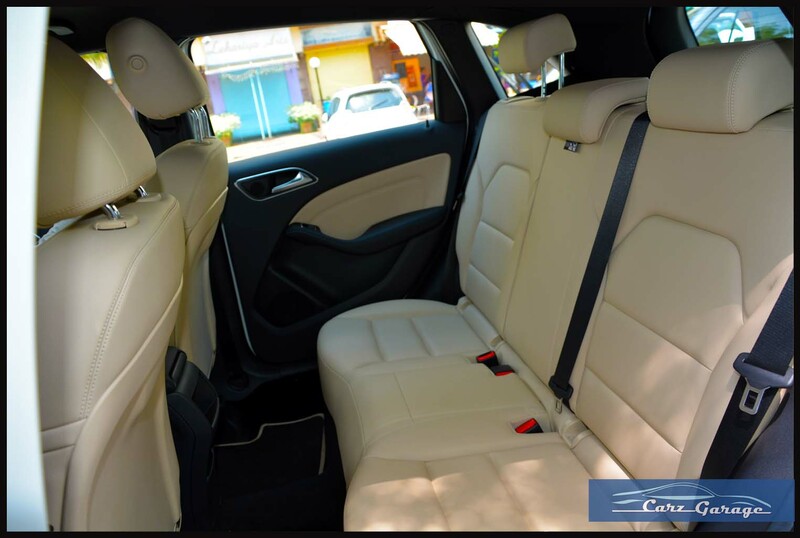 The cream leather seats are amazingly comfortable. The driver gets electric adjustment for the seats while the passenger has to do with manual controls. The steering is wrapped in leather and adjustable for height and reach. Audio, phone and the multi-information display in the instrument binnacle can be controlled through buttons on the steering. There is a faux wood panel on the dashboard but a lot of equipment goes missing. 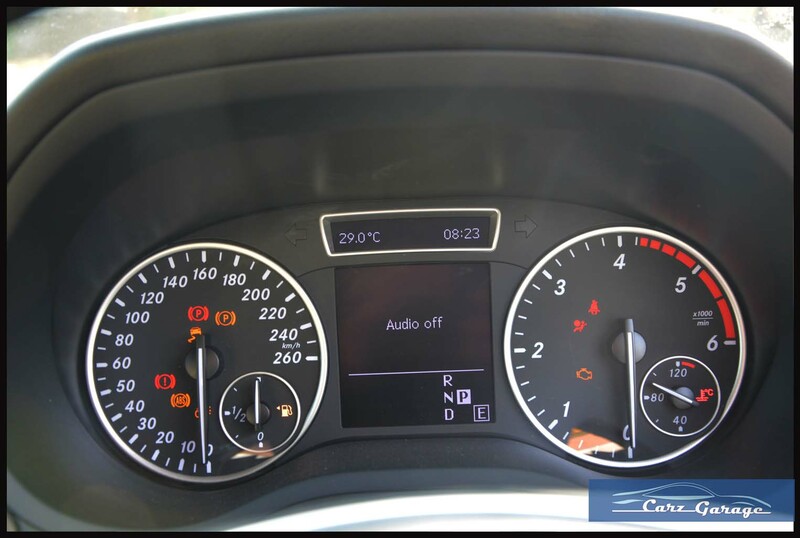 The B 180 CDI has a 14.7 cm TFT screen for the COMAND interface through which you can control the Audio, Phone book and can check out instant fuel consumption. Mercedes has ditched the Navigation, Parktronic and Auto-climate control options. Mercedes should have at-least kept the parktronic sensors on the car as it is not easy to look out of the rear window in such a long vehicle. Mercedes has retained all the safety features on the car though; 7 airbags, ABS, ESP, brake hold, brake assist, hill start assist are all standard. 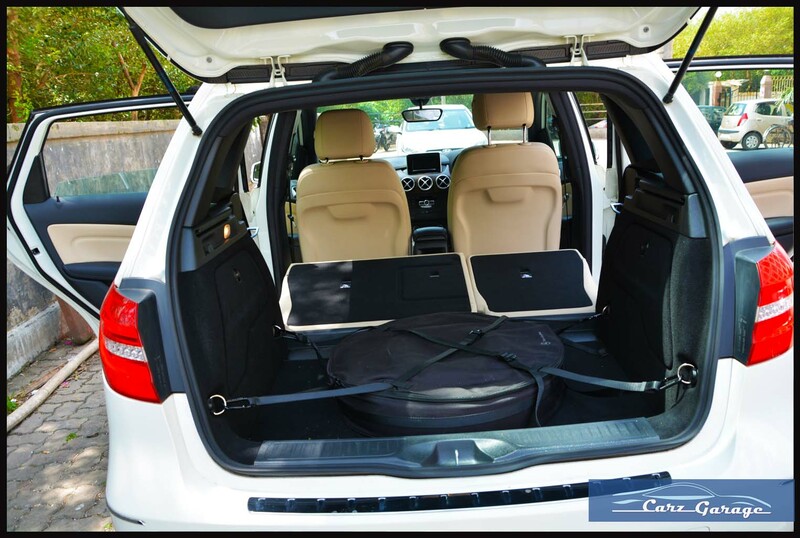 The rear seats fold down to reveal 1545 litres of luggage space, otherwise you have to do with 486 litres compromised by a space saver spare wheel placed oddly in the boot. 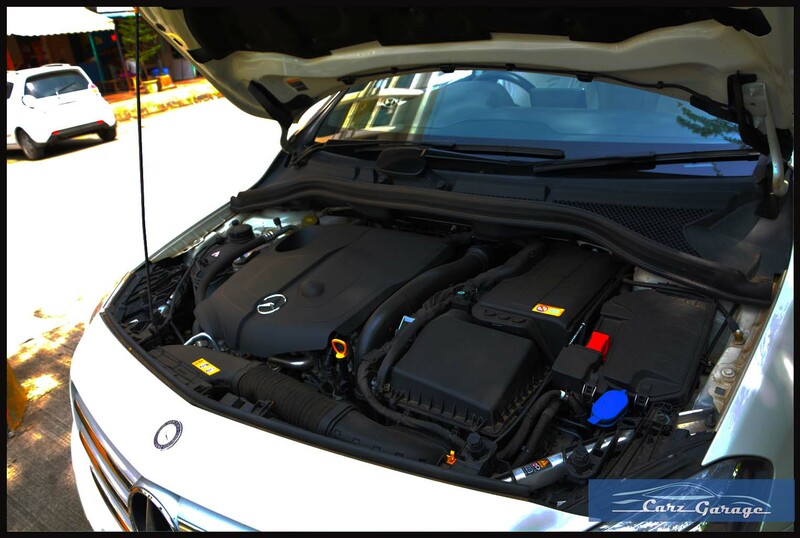 The B 180 CDI comes powered with a 2143cc turbocharged diesel engine. There is 107bhp of power between 2200-4400rpm and 250Nm of torque available from a low 1400-2200rpm. Power is transmitted to the front wheels via a 7-speed dual clutch transmission. Everyone finds the gearbox to be quick; I find it rather lousy to up shift. Maybe I am driving wrong. The mid-range is where all the power is and here the transition is seamless. Mercedes has retained the paddle shifters and has also made available the Economy, Sport or Manual modes for the drivers comfort. The engine is noisy above 3000rpm but does a decent job of pulling the nearly 1.5 tonne car without breaking a sweat. You may think that there will be turbo lag but yet again the dual clutch transmission negates that obstruction altogether. Power deliver is linear making sure you don’t burn the extra inch of rubber available on each corner. Fuel average is approximately 14km/l in a combined of highway and city traffic conditions while Mercedes claims that it can do a brisk 0-100km/h in 10.7 seconds. Top speed is also claimed at 190km/h. 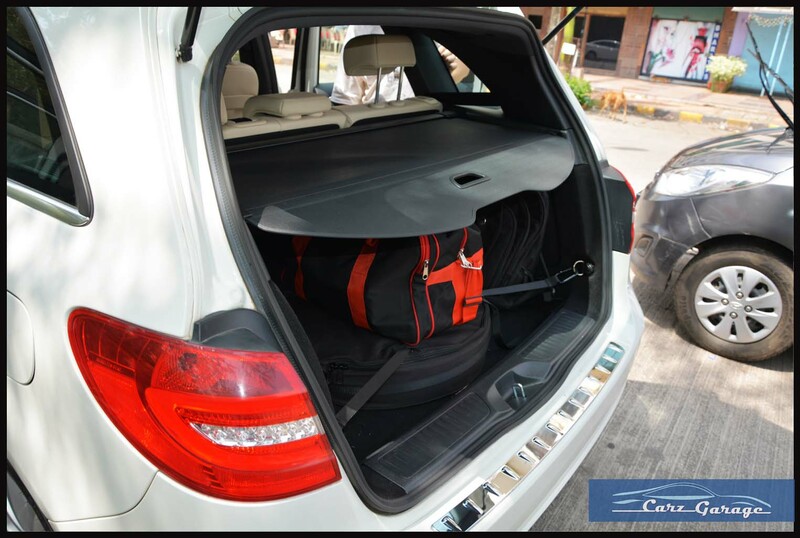 The B-Class is stiffly sprung but the B 180 CDI benefits from the extra one inch of rubber (205/55 R16 vs 215/45 R17 on the Sport petrol) on each corner. The ride is jiggly at low speeds but never bone jarring. At high speeds it absorbs every bad road with ease and stays flat. The suspension works unobtrusively. High speed straight line stability is typical of Mercedes cars. On high speed corners though there is a bit of body roll, but nothing that will scare anybody. Handling is neutral. The electric steering doesn’t provide you with any feedback but is precise and weighs well at speeds. The car’s underbelly does scrape on the worst of roads and speed-breakers so you need to be careful about that. 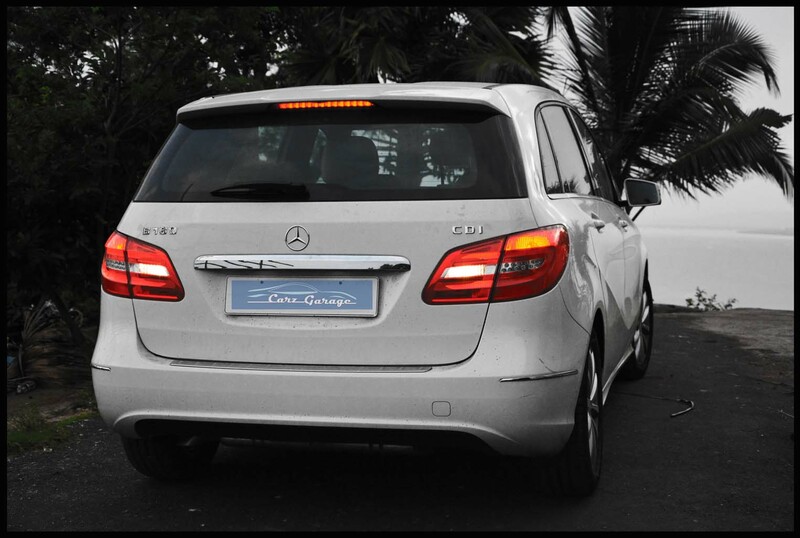 The B-Class diesel is the car Mercedes should have launched in the first place. It’s endearing to see the people in our country have accepted this form of vehicle at such a price but we would love to see it with some more bells and whistles. If you travel a lot, with a lot of luggage and don’t fancy an SUV, this is the most practical luxury car you can buy.